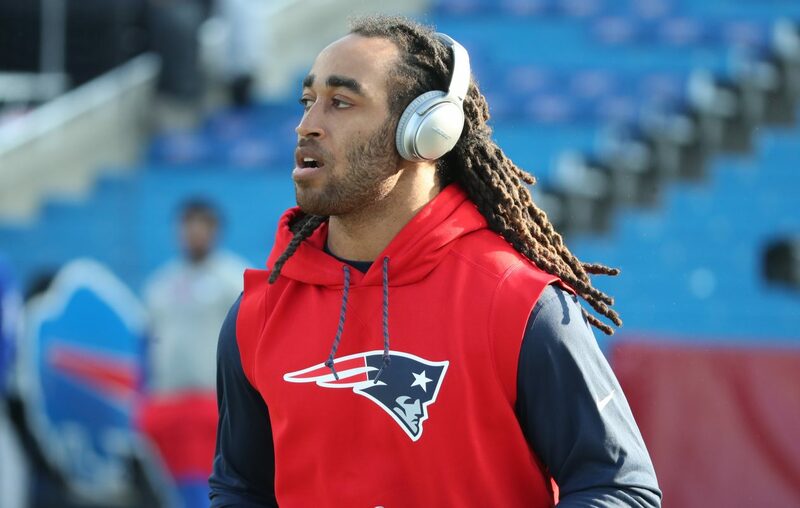 ATLANTA – Stephon Gilmore earned a new nickname in the Boston media this week: The Silent Assassin. The New England Patriots’ cornerback is so named because of his quiet nature. Behind that guarded persona, however, is a dominant player at his position. Two years after leaving the Buffalo Bills, the team that selected him 10th overall in the 2012 NFL Draft, Gilmore’s game has risen to a lofty level. How lofty? The analytics website Pro Football Focus graded him as the league’s top cornerback during the 2018 season. In other words, don’t expect Gilmore to loudly proclaim his spot in the rankings or call any certain quarterbacks “trash” the way Jacksonville’s Jalen Ramsey did in an interview with GQ last summer. He goes about his business in a different, understated way. Gilmore’s two seasons in New England have been that, each ending with a Super Bowl trip. It hasn’t all been smooth sailing for Gilmore in New England. He signed a five-year contract worth up to $65 million – the kind of deal that puts immense pressure on a player to be consistently great. Gilmore wasn’t that early in his Patriots career. He even was benched briefly during a Week 4 home loss to Carolina during the 2017 season. In that game, he allowed two catches for 71 yards and a touchdown on the two times he was targeted. Eventually, though, he got more comfortable in the defense, and it showed in his play. “It's my second year here. I'm just getting used to everything, knowing my teammates better and getting used to the coaches and stuff like that," he said. It's more than just learning the ins and outs of the defense. It's also about navigating a media market notorious for demanding only the best. “I think mentally I’m stronger than I was a year ago,” Gilmore said this week. “I can take anything, good or bad, and put it behind me and make the next play. Playing in New England, it teaches you how to be mentally strong. A lot of people say they’re mentally strong, but playing in New England, you have to be mentally strong because of what the coaches put on you. For whatever reason, Bills fans never seemed to totally embrace Gilmore. Perhaps that’s because of his draft status, which shouldn’t be held against him. Regardless, his contract speaks to the reputation he had outside Buffalo. “I mean, you definitely knew that Stephon could play the game,” said Patriots receiver Julian Edelman, who went against Gilmore for years. “He was a little younger, but to see how he's been competing for us the last couple years, it's been awesome to get to experience. Getting to go against him in practice makes me better. The better he gets, the better it is for me, and it definitely seems like he's getting better and better. The Bills never had much of a chance to re-sign Gilmore given their bleak salary-cap situation in 2017, and it’s not even clear if they would have if they had the chance. On Sunday, the 28-year-old Gilmore will play a huge part in the Patriots’ quest for the franchise’s sixth Super Bowl championship. The Rams’ high-powered offense features a pair of receivers Gilmore is plenty familiar with in Robert Woods and Brandin Cooks, ex-teammates with the Bills and New England, respectively. During training camp in 2015, Woods and Gilmore got into a pretty good scrap, exchanging punches. Both players might be quiet, but that hides a competitive streak that they share. Gilmore’s only appearance in the Pro Bowl with the Bills came after the 2016 season as an injury replacement. He was selected to the game again in 2018, along with being named a first-team All-Pro for the first time in his career, trailing only Chicago’s Kyle Fuller with 26 votes. Gilmore had two interceptions, one sack, 40 tackles and a career-high 20 passes defensed during the regular season, often while lining up against the opposition’s No. 1 receiver. PFF charted him with allowing just 42 catches (on 90 targets) for 466 yards all season, despite tracking receivers in 13 different games. In New England’s two postseason wins, Gilmore has allowed just two catches on 10 targets, with one interception. “It’s great,” he said of the individual accolades, “but, you know, it’s not finished. There's not too many times you get to the Super Bowl, so you've got to take advantage of the opportunity."